Skunk Works is a term first coined in 1943 by Lockheed, currently trademarked by Lockheed Martin and widely used in business, engineering, and technical fields to describe a group within an organization given a high degree of autonomy and unhampered by bureaucracy, tasked with working on advanced or secret projects. Skunk Works, an official alias for Lockheed Martin's Advanced Development Programs and formerly called Lockheed Advanced Development Projects, is responsible for a number of famous aircraft designs, including the U-2, the SR-71, the F-117, and the F-22. Its largest current project is the F-35 JSF (Joint Strike Fighter), which will be used in the air forces of several countries around the world. Production is expected to last for up to four decades. The roots for the Skunk Works started in Burbank, California when Lockheed was tasked with building a high speed, highly maneuverable fighter to compete with the aircraft coming out of the Messerschmitt factory.Lockheed Model 22 rolled out in December 1938 and had her maiden flight on January 27, 1939. This plane would later be known as the P-38, and would be one of the most successful aircraft in the U.S. military for its time. The Air Tactical Service Command (ATSC) of the Army Air Force met with Lockheed Aircraft Corporation to express its need for a jet fighter. A rapidly growing German jet threat gave Lockheed an opportunity to develop an airframe around the most powerful jet engine that the allied forces had access to, the British Goblin. Lockheed was chosen to develop the jet because of its past interest in jet development and its previous contracts with the Air Force. 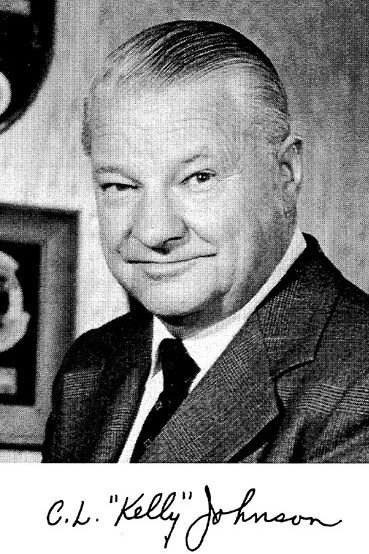 One month after the ATSC and Lockheed meeting, a young engineer by the name of Clarence L. “Kelly” Johnson and other associate engineers hand delivered the initial XP-80 proposal to the ATSC. Two days later the go-ahead was given to Lockheed to start development and the Skunk Works was born, with Kelly Johnson at the helm. The formal contract for the XP-80 did not arrive at Lockheed until October 16, 1943; some four months after work had already begun. This would prove to be a common practice within the Skunk Works. Many times a customer would come to the Skunk Works with a request and on a handshake the project would begin, no contracts in place, no official submittal process. 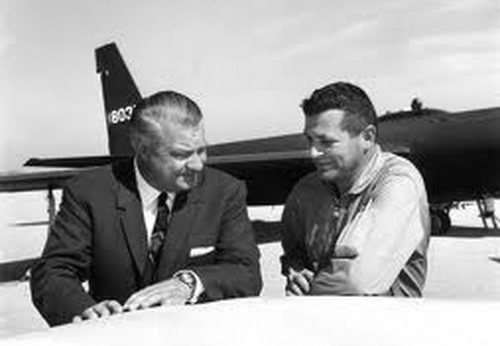 Kelly Johnson and his Skunk Works team designed and built the XP-80 in only 143 days, seven less than was required. In 1955, the Skunk Works received a contract to build a spyplane known as the U-2 with the intention of overflying the Soviet Union and photographing sites of strategic interest. The U-2 was tested at Groom Lake in the Nevada desert. The first overflight took place on July 4th 1956. The U-2 ceased overflights when Francis Gary Powers was shot down during a mission on May 1, 1960, while over Russia. The Skunk Works had predicted that the U-2 had a limited operational life over the Soviet Union. The CIA agreed. The Skunk Works got a contract in late 1959 to build five A-12 aircraft at a cost of $96 million dollars. Building a Mach 3.0 aircraft out of titanium posed enormous difficulties and the first flight did not occur until 1962. 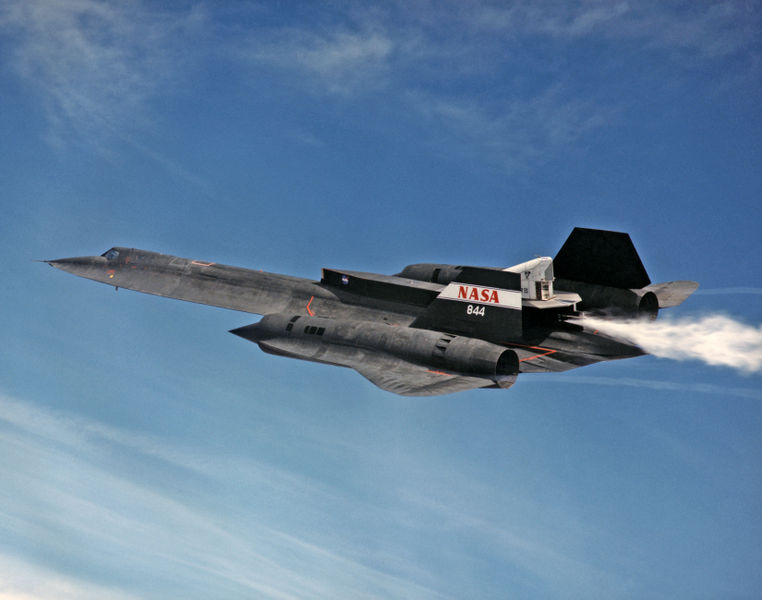 Several years later, the U.S. Air Force became interested in the design, and it ordered the SR-71 Blackbird, an improved two-seater version of the A-12. This aircraft first flew in 1966 and remained in service until 1998. The D-21 drone, similar in design to the Blackbird, was built to overfly China. This drone sat on top of a specially modified A-12, known as M-21, of which there were two built. No D-21s were successfully launched from M-21s, although a few were deployed from B-52s. 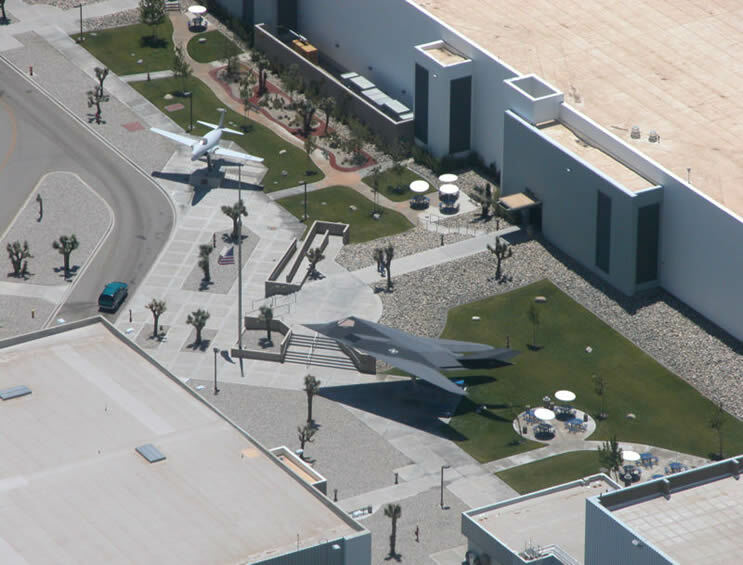 After the Cold War ended in 1989, Lockheed reorganized its operations and relocated the Skunk Works to Site 10 at U.S. Air Force Plant 42 in Palmdale, California, where it remains in operation today. 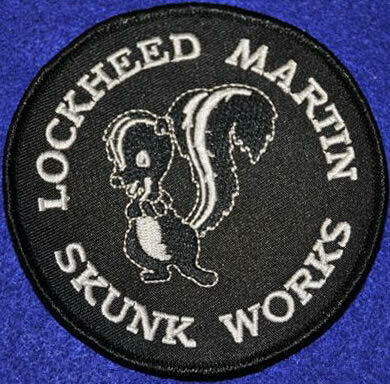 The term "Skunk Works" is a registered trademark of Lockheed Martin; the company also holds several registrations of it with the United States Patent and Trademark Office. They have filed several challenges against registrants of domain names containing variations on the term under anti-cybersquatting policies, and have lost a case under the .uk domain name dispute resolution service against a company selling cannabis seeds and paraphernalia, which used the word "skunkworks" in its domain name (referring to "Skunk", a variety of the cannabis plant). Lockheed Martin claimed the company registered the domain in order to disrupt its business and that consumer confusion might result. The respondent company argued that Lockheed "used its size, resources and financial position to employ "bullyboy" tactics against a very small company. The term "Skunk Works" came from the Al Capp comic strip Li'l Abner, which was popular in the 1940s. In the comic, the "Skonk Works" was a backwoods still operated by Big Barnsmell, known as the "inside man at the Skonk Works." In his secret facility, he made "kickapoo joy juice" by grinding dead skunks and worn shoes into a smoldering vat. The original Lockheed facility, during the development of the P-80, was located adjacent to a malodorous plastics factory. According to Ben Rich's memoir, an engineer showed up to work one day wearing a Civil Defense gas mask as a gag. To comment on the smell and the secrecy the project entailed, another engineer, Irving Culver, referred to the facility as "Skonk Works". As the development was very secret the employees were told to be careful even with how they answered phone calls. One day, when the Department of the Navy was trying to reach the Lockheed management for the P-80 project, the call was accidentally transferred to Culver's desk. Culver answered the phone in his trademark fashion of the time, by picking up the phone and stating "Skonk Works, inside man Culver". "What?" replied the voice at the other end. "Skonk Works," Culver repeated. The name stuck. Culver later said at an interview conducted in 1993 that "when Kelly Johnson heard about the incident, he promptly fired me. It didn't really matter, since he was firing me about twice a day anyways." 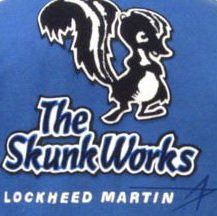 At the request of the comic strip copyright holders, Lockheed changed the name of the advanced development company to "Skunk Works" in the 1960s. The name "Skunk Works" and the skunk design are now registered trademarks of the Lockheed Martin Corporation.